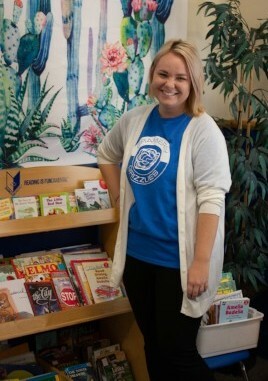 In less than a year as a Family and Youth Specialist at Gramercy Elementary, Kristal Sabaitis has made a big impact. Gramercy is a small school of about 320 students. They are consistently below the state average for test scores, and absenteeism levels are very high. Most of the children who attend Gramercy come from low-income families. Kristal has a Resource Room in her school, which has supplies available to those in need. Thanks to community partners like The Lantern House, Youth Futures, Christmas Box House, and Coats for Kids, this room is stocked with hygiene kits, clothes, and a food pantry. One of the biggest obstacles that Gramercy faces is low attendance. Kristal is working to incentivize kids to come to school. Every month, students with no tardies and perfect attendance get their names placed in a drawing. 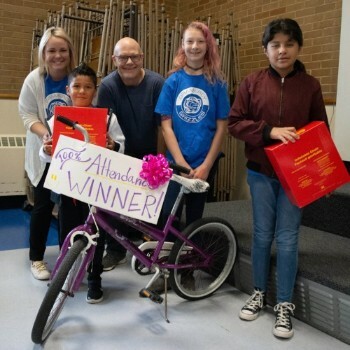 Partnering with the Ogden Bicycle Collective, Gramercy Elementary gives away two bikes every month to winning students. Kristal has also initiated Spirit Shirt Fridays. With the help of a sponsorship, Kristal was able to supply every student with a school shirt. Since Fridays are short days, it was very common for students not to come to school at all. Now, students who wear their shirts on Friday are eligible to win prizes. Jim Mieure is the principal of Gramercy. He is extremely impressed with Kristal’s work and is grateful for the resources she brings to the school. “We have a lot more contact with partners now… she’s a big part of our school,” said Jim. 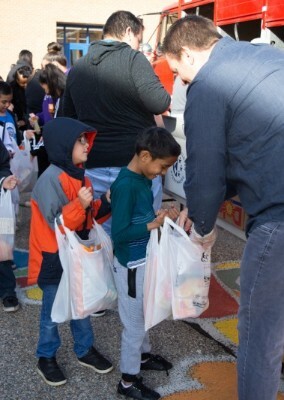 For example, Kristal brought 16 community partners to the school’s annual Trick or Treat night to connect families to local resources. In her short time at Gramercy, Kristal has already made a huge impact on many kids. Earlier this year, a grandmother reached out to Kristal for help. This grandmother received custody of her two grandkids overnight after the kids’ mother was incarcerated. Not having the supplies necessary to support two more people, she turned to the Kristal for help. Kristal provided immediate help and then connected her with specialists who helped her sign up for more assistance programs. Kristal and our other Family and Youth Specialists are helping United Way achieve our goal of helping children succeed in school and supporting families in need.